The PlayStation VR had a stellar lineup of launch titles. From the intense shooter action of games like EVE: Valkyrie, Rigs, and Battlezone, to entrancing experiences such as Rez Infinite and Bound, there was truly something for everybody. Since then, however, quality releases have been few and far between. 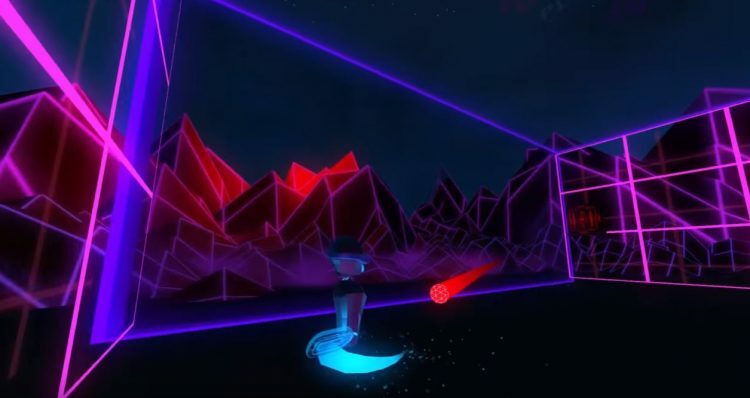 Luckily that seems to be changing a bit, as Robinson: The Journey just released and now the Pong meets Tron action of HoloBall is slated to hit Sony’s flagship virtual reality platform on November 22nd according to a new blog post by the game’s developer, Tree Fortress. In HoloBall, you battle against an evil rogue A.I. by smacking a ball back and forth. The A.I. moves around the wall in front of you to block and bounce the ball back towards you. The visuals look like Tron, the game plays like a three-dimensional version of Pong, and everything has a very retrofuturistic, ominous vibe. While simple in concept, it’s a great example of how executing on a central game idea can be enough to propel an experience forward. HoloBall continues to be one of the most popular HTC Vive games and is an excellent showcase for VR. Since it takes a simple concept like Pong, or even just Tennis, and adapts that to a new immersive medium, it’s easy to pick up and play. There are no buttons or controls to memorize — you just get up and knock the ball back and forth, blocking your goal. It’s an important designation because it’s a game that will require you to physically move around your room laterally and swing your arm in wide strokes. I may have punched a wall more than once playing this game. HoloBall releases on PS VR this November 22nd. Online multiplayer is planned to be added as a future update.